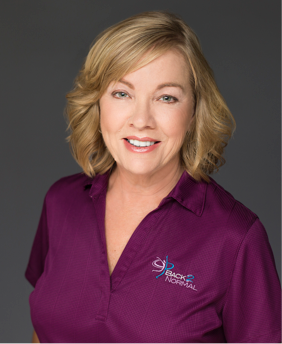 Gail joined the Back 2 Normal team in August 2013, and brings years of expertise in graphic design, marketing, advertising, web initiatives and administration. She manages our front office operations and ensures an exceptional customer service experience. She is a Florida native, born and raised in St. Petersburg. Gail sees the true value in being an integral part of a team that makes a difference in the lives of others, as well as her own. She’s eager to take in and apply positive energy, in a lasting and meaningful way. Gail also has a passion for horses and the equestrian world. As an owner, she rides several days a week to stay active. She works daily to be strong and fit, and focuses on living a full and healthy life.